Jonathan is a strong and passionate public speaker. He is a natural in front of large and small crowds and his down to earth persona appeals to a wide range of audiences. His knowledge and passion shines through and inspires, whilst his ability to explain even the most technical of details into every day terms bridges the boundaries between professional athletes, recreational divers and those who simply share a fascination with the underwater world. 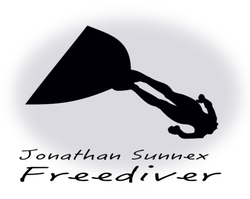 Using the perfect mix of humor and audience participation, Jonathan engages his audience into the world of freediving. Jonathan's path to success wasn't always a smooth one and appeals to anyone who has struggled, his lessons in goal setting and achievement relevant to many other facets of life. His words have inspired, moulded and motivated champions.